We're in the business of helping businesses do more - faster! The easy, secure, and affordable Electronic Medical Records solution. 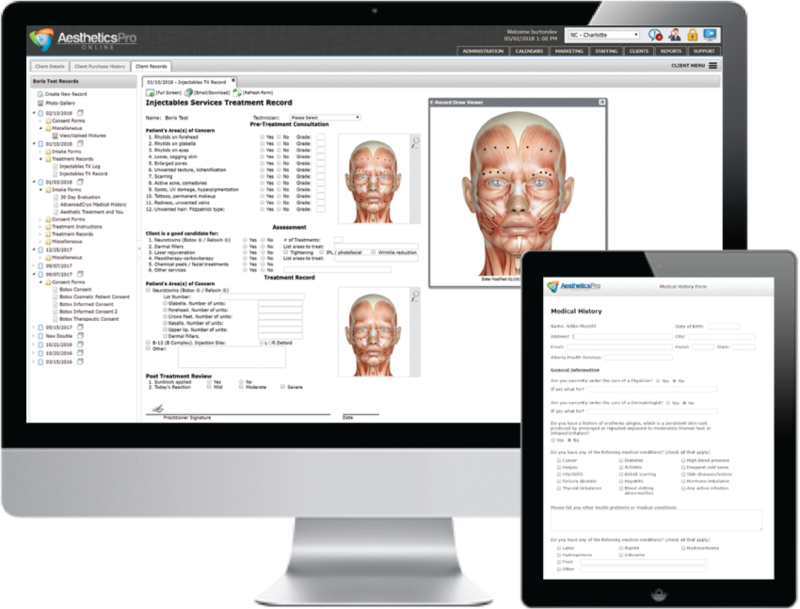 Developed specifically for the medical aesthetics' industry. 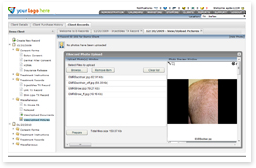 Medical spas have very specific needs when it comes to documentation and recording results. Since 2004 AestheticsPro has been developing business solutions specifically for the Medical Spa industry. The very specific needs of Medical Spa's has been our driving force in creating the best E-Records management software on the market. User Friendly. Safe. Secure. And affordable. With an extensive database of electronic medical forms that are included with the AestheticsPro Enterprise software, all of your E-Records are just a click away. Simply select the E-Records that your business needs and they'll instantly become available for each new chart you create. It's that simple. As well you have full access to client or patient documents and photos from your client information screen where you can instantaneously enter, edit or review their information. Your business is our priority, and our business is your data. Access to your records are limited to only the staff that you authorize. Utilizing 128-bit encryption for all electronic transactions all of your data will be stored securely at the moment of entry. Your business data is safe and secure with AestheticsPro. Aesthetics Pro delivers all of this and affordability, too? 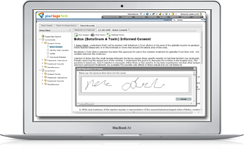 With Aesthetics Pro Online E-Records, you will save time and space and money. Who can't afford to do that? Time: Access charts and forms without having to leave your desk, or, for that matter, your home. No need to commute to the office to review a document or enter notes. Space: Eliminate the need for massive, ugly, space-eating storage cabinets freeing valuable square footage for other uses. Money: Typical electronic records solutions (known as EMR, in the medical world) can cost $50,000 or more. This makes Aesthetics Pro Online E-Records, at a fraction of that cost, much more affordable. 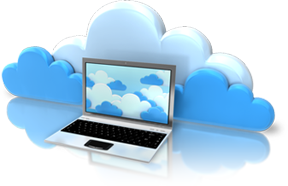 Plus, we offer your business all of the benefits of a centralized document storage and back-up solution, without the expensive IT infrastructure or support staff to run it. Want to see more? Call us today at 866-305-3080 to schedule a webinar and see first-hand how Aesthetics Pro can make your client records easier to access while saving your organization thousands of dollars per year.